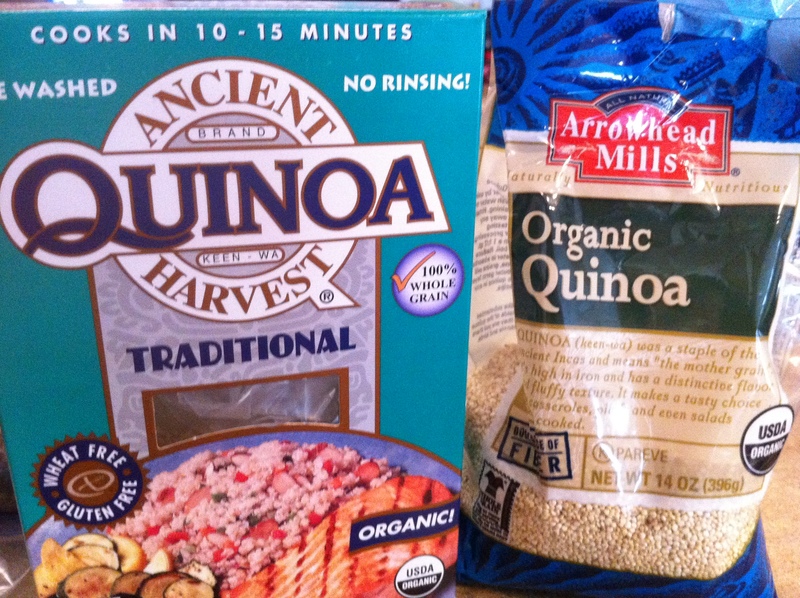 Dolce Diet tips & tricks, Part I: (Not so) Mysterious Quinoa | Says who?! I sometimes jump right into talking points without knowing if my readers actually have any idea what I’m talking about. So before I go on, my disclaimer: To my MMA & sports-fitness-dieting gurus, I know you’re familiar with Mike Dolce, you can skip southward to the recipe. To the rest of you, whom I am THRILLED to tell this to: please check out my buddy Mike’s fantabulous Living Lean book here, so that you may have a better idea of where I’m coming from. You’ll thank me, after you buy the book (online w/ shipping OR ON iTunes). SIMPLE SOLUTION!! 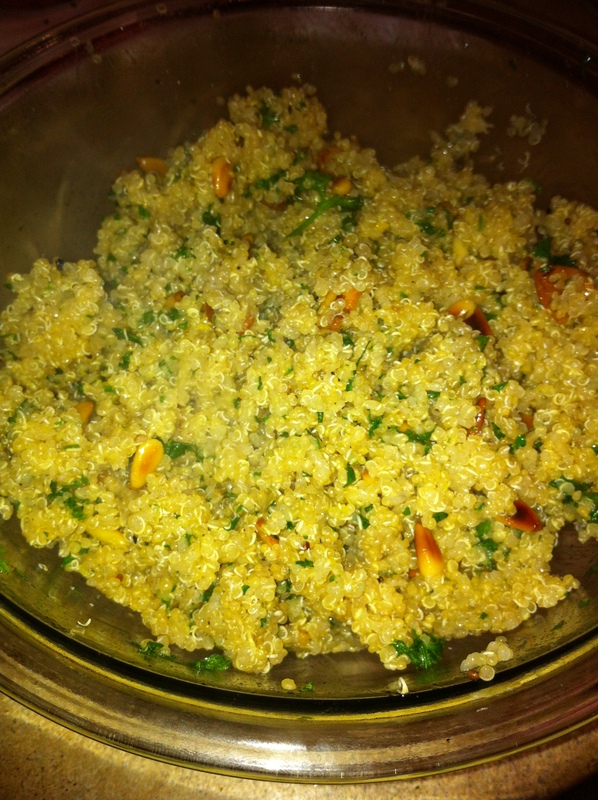 Here I am, to share my easiest (tastiest, too) quinoa recipe. I never have trouble finding it in organic or “green” sections, nor at “health food” stores. Just ask where it is, most employees will direct you right to the grains. Even if the package says it’s been pre-rinsed, do it again. Use a fine mesh strainer, run clean water over it until it no longer bubbles or looks sudsy and water runs clear, and then leave to dry out a little. 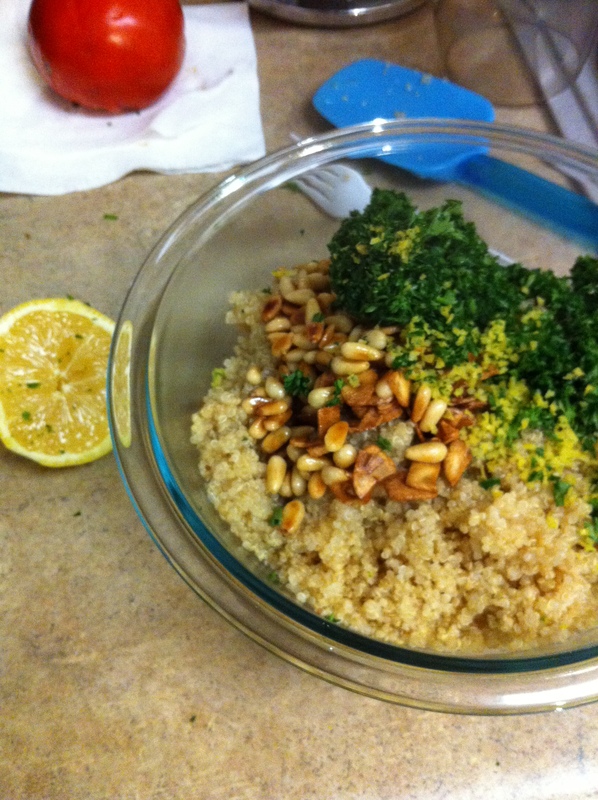 After you’ve done this, you’re ready for the tastiest and easiest quinoa side dish EVAH! Place an empty, dry, medium-sized saucepan over medium heat. 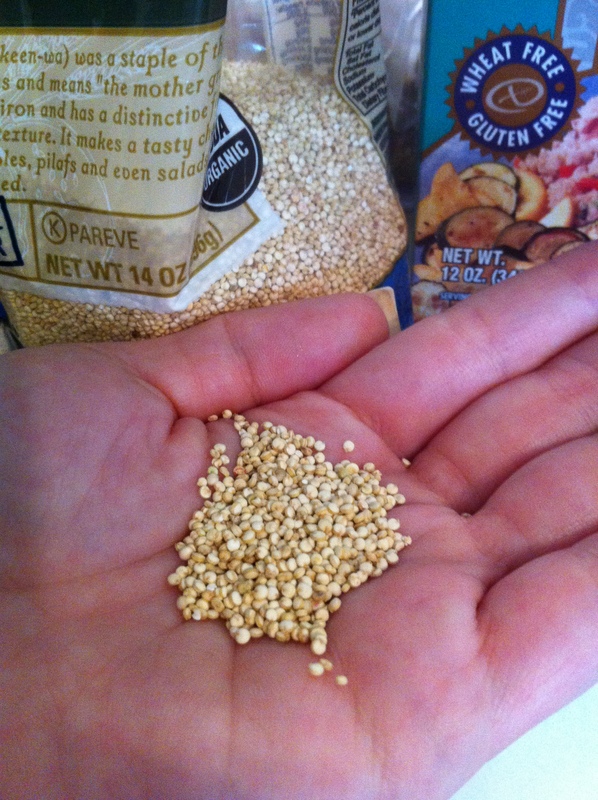 Once heated, add previously rinsed quinoa (damp or fully dried back out). Stir continuously for two minutes, to toast. Add 1 3/4 cups of water, stir to make sure nothing is stuck to the pan, and bring to a boil. Reduce heat to low, cover, let simmer for 14 minutes – set your timer, don’t open it back up until it’s finished!!! After 14 minutes, remove the quinoa from the heat, leave covered, and let stand for 2 minutes. While the quinoa is simmering, place a small (preferably non-stick) skillet over medium heat. Add dry, raw pine nuts to dry skillet and toast until golden (about 3 minutes), mixing/moving nuts constantly. Transfer pine nuts to a separate container. Again, over medium heat, add olive oil to the skillet. After giving the oil a few minutes to come up to heat, add your thinly sliced garlic. If your garlic is sliced SUPER thin, it will probably look as if the oil is bubbling in an almost soapy-looking way. NO WORRIES, just keep the garlic moving so it doesn’t burn – no matter the thickness. Cook the garlic until it is golden, 2-3 minutes. Remove garlic AND oil from heat, together, as you’ll be adding them both to the finished dish later. ← About that “10lbs Down by 2012” thing..
(Try to restrain yourself with a toy that costs a quarter, though. wouldn’t have a clue if it were pinned on to their lapel. While these items maybe fewer and far between, they do exist.